In this area you will find research papers and articles published by the research team of SoEI lead by Dr. Russel Clayton, Dr. Charles Coco and Jon Hartman, ABD., Dr. Rubye Brae and Dr. Christopher Davis. Partners and Collaborators consist of groups or organizations that provide financial or in-kind support to an organization, event or activity through the provision of donations, products or services. They share common missions, interests, values, and messages–thereby achieving together what could never be accomplished separately. To become a Partner, your organization must submit a request for partnership to the Society of Emotional Intelligence at: [email protected]. The request should outline your organization’s mission, vision, goals, and reasons for partnering with us. All requests will be reviewed and approved organizations will be notified. Community mediation offers constructive processes for resolving differences and conflicts between individuals, groups, and organizations. It is an alternative to avoidance, destructive confrontation, prolonged litigation or violence. It gives people in conflict an opportunity to take responsibility for the resolution of their dispute and control of the outcome. Community mediation is designed to preserve individual interests while strengthening relationships and building connections between people and groups, and to create processes that make communities work for all of us. NAFCM supports peacemakers by being the hub for advancing the work of community mediation, aggregating the wisdom of community mediation and amplifying the voice of community mediators. NAFCM's purpose, as a membership association of peacemakers who employ the practices and values of community mediation, is to help these peacemakers to create safe spaces for the transformation of conflict to opportunities for engagement, resolution and partnership through the work and will of the participants and those impacted. NAFCM's vision is that community mediation leads to community mobilization (both individually and collectively). The vision of ICEVN is to be the catalyst for social responsibility, innovation and transparency in Vietnam. 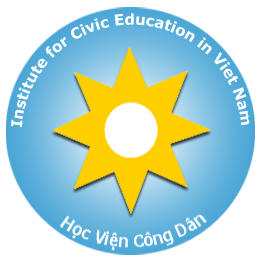 The mission of ICEVN is to promote social responsibilities and transparency in Vietnam by providing civic education, entrepreneurship education, and managerial leadership development. Network and collaborate with other international organizations, which have similar interests in leadership, entrepreneurship, and civic education to learn from best practices and to foster collaboration among the nations. “The Dr. Hank Show” is designed for you. Whether you’re an expert or just hearing about it for the very first time, everyone is welcome. Whether in relation to managing difficult or sensitive situations, dealing with colleagues or interacting with customers, the power of emotions to help achieve work goals, enhance academic and business success is critical. Being able to control your emotions in a positive manner is a very important part of functioning properly in society. So, share your thoughts and questions on EI. "The Dr. Hank Show " is a 1 hour internet radio talk show held weekly. Interested parties can call in to chat with guest or host; ask questions and/or have dialog around the topic of emotional intelligence or a related subject.